The MC3330R handheld by Zebra comes with an integrated UHF RFID reader. This handheld has a rugged design for industrial environments but is also very light and stylish. It is particularly suitable for multiple applications, like inventory management or asset tracking. 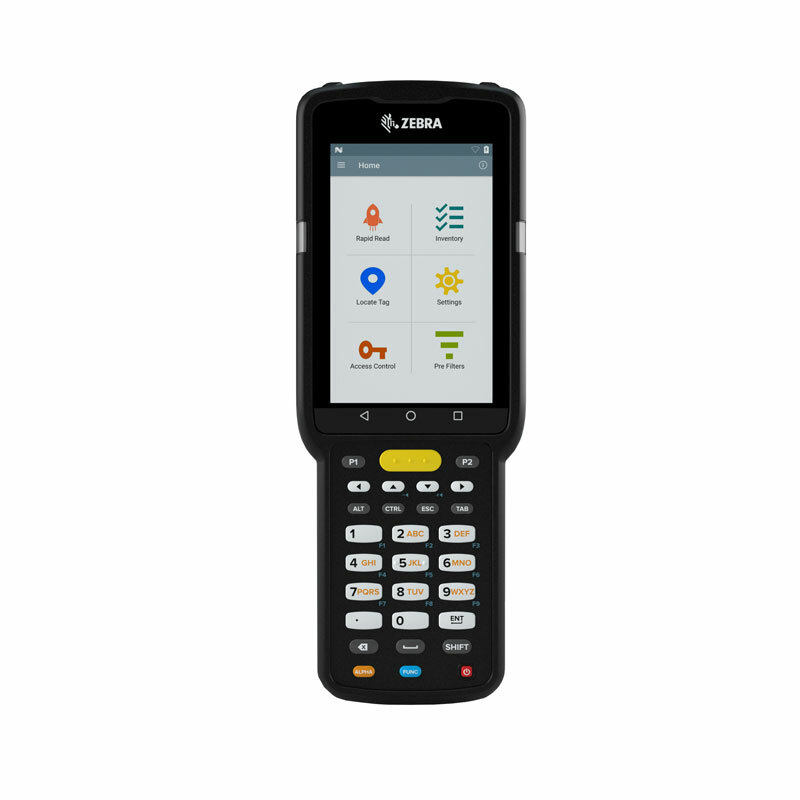 Zebra’s MC3330R is a handheld equipped with a powerful UHF RFID reader. The fast and reliable scan engine makes data capturing quite easy. You can read out RFID tags as well as all kinds of barcodes, which includes 1D and 2D codes. The handheld provides omnidirectional scanning functionality. Therefore, typical fields of applications are, for example, asset management or inventory in retail and back office applications. It is even suitable for healthcare environments. The MC3330R will help you to maximize your productivity. 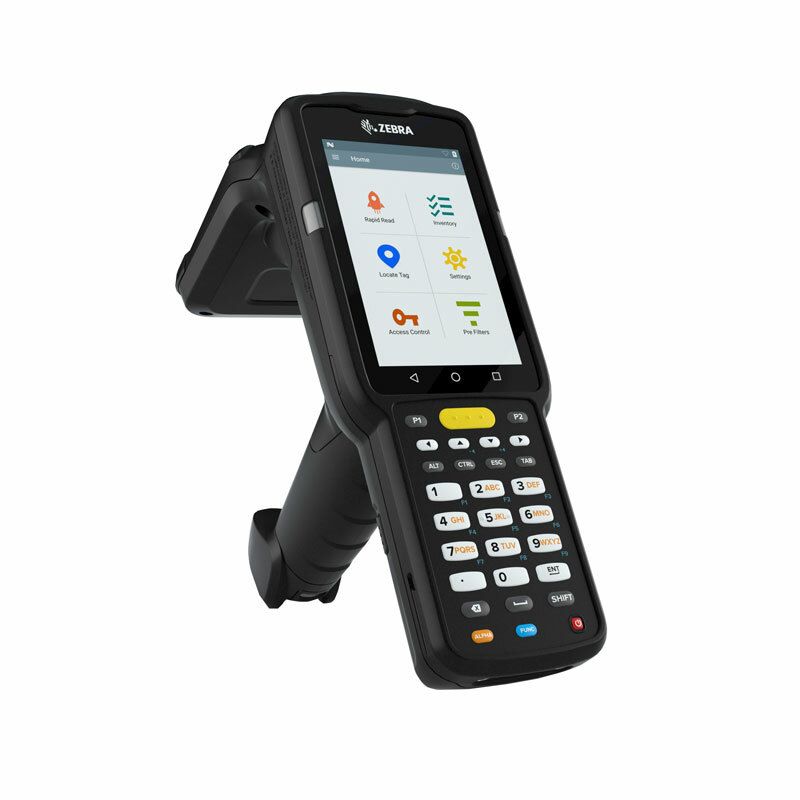 It comes with an ergonomic design and a large touchscreen and keypad. The 4-inch display is made of Corning Gorilla Glass which is scratch-resistant. Choose between 3 keypad options: alphanumeric, numeric and functional numeric. Equipped with a powerful Qualcomm processor and Android (7.0 Nougat) GMS it offers also USB 2.0 high speed, WLAN (802.11 a/b/g/n/ac/d/h/i/k/r/w) and Bluetooth. The memory of 4 GB is upgradable via microSD to up to 32 GB. There is also an integrated speaker and optional PTT support. With an IP54 sealing, this handheld is protected against liquids and dust and is also highly drop-resistant. With an operating temperature range from -20° C to 50° C it is suitable for a wide spectrum of applications and environments. 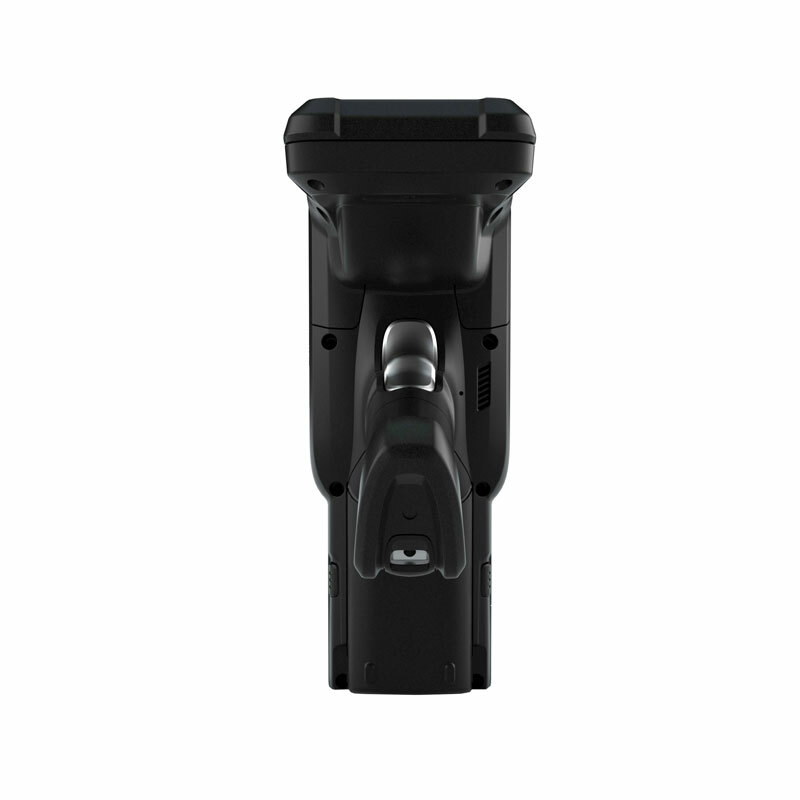 The MC3330R handheld comes with PowerPrecision+ batteries which last extremely long and are field-replaceable.